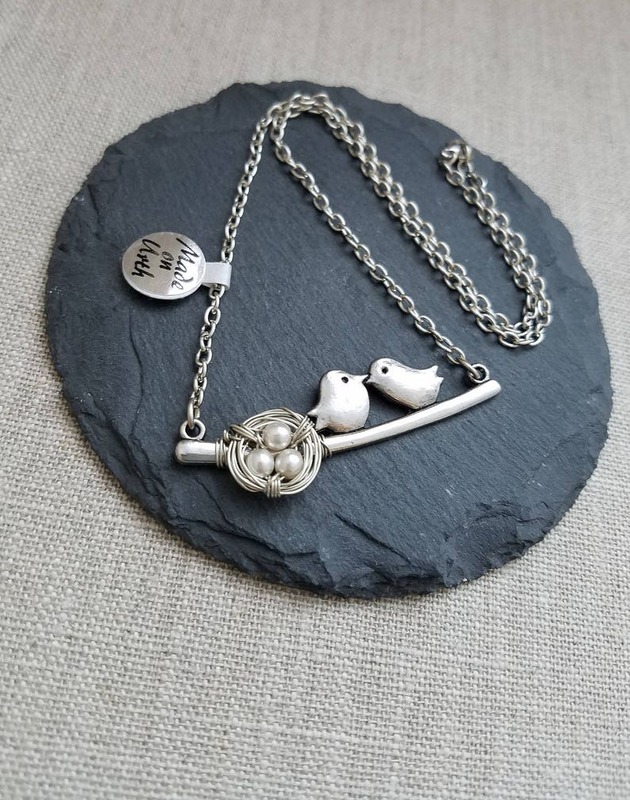 This cute bird nest necklace came to life when I added a wire wrapped bird nest on it! It has three white pearl glass beads in the center. I hope you enjoy wearing it as much as I enjoyed making it! Necklace Length: 16 inches (this can be made longer or shorter for no additional charge, please convo me the length you'd prefer).